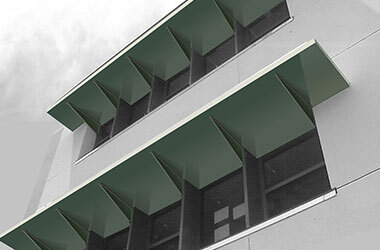 If you want innovative and unique sunshade products for your building the custom commercial awnings are the answer. 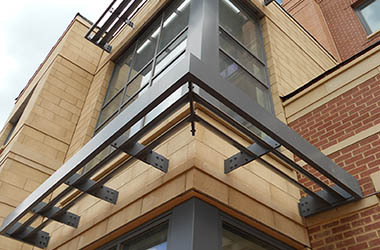 Awnings are mounted above windows and entry ways and as such are highly visible architectural elements. That means you can use awnings to impress guests, visitors and customers. Think of a hotel entrance. 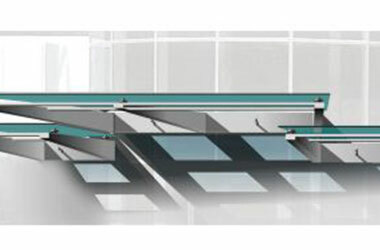 An innovative and architectural entrance way will make a greater impact than a standard run of the mill awning. 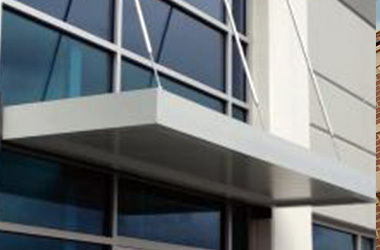 Custom commercial awnings can be designed to improve the aesthetics of any building or project. 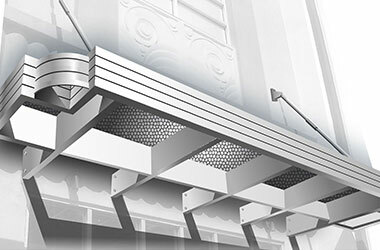 You still get all the regular benefits from custom commercial awning and canopies. These include shade, cover from rain, reduced HVAC strain, energy savings, advertising and aesthetics. With custom commercial awnings, you can go beyond standard shapes. Now you can awnings with curves, prominent lines and impressive architectural features. With curving surfaces and freestanding foundations, custom awnings and canopies can help take your architectural preferences to a new level. Custom awnings and canopies opens the door to free from design and outside the box ideas. Custom commercial awnings can be designed to exact specification and architectural requirements. Innovative design can help create a lasting focal point. Custom awnings and canopies can also have that wow factor. Custom commercial awnings and canopies are ideal for entryways, waiting areas, transit stations, walkways, commercial buildings, hotels, storefronts and more. The modern materials used in the manufacture of custom awnings and canopies are durable, strong, flame-retardant, corrosion resistant, light weight and low maintenance. Materials include aluminum, glass, acrylic and perforated metal. With custom awnings and canopies you can accentuate your commercial brand and signature. Apart from providing the normal benefits of shelter, protection, energy savings and aesthetics, custom awnings and canopies can create an ever-present focal point.